Need a computer for home, school or university? No problem we have just the thing for you ... all our computers are refurbished and perfect for your individual needs. 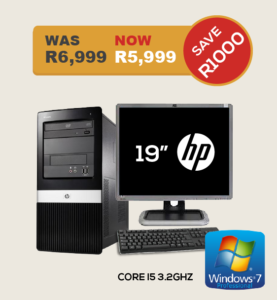 We offer a range of computers from desktops to laptops that are good as new and half the price. 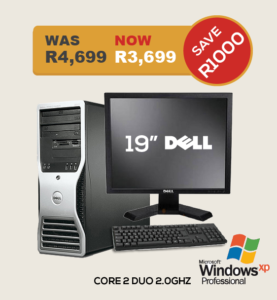 Our current best deals for your needs are the Dell Precision 390 or Dell Latitude 2120. Feel free to take a look at our Sale for more options. Looking for a computer for your business? We have many desktops and laptops that are reliable, quality machines - as good as new so you can save money and invest elsewhere in your business. 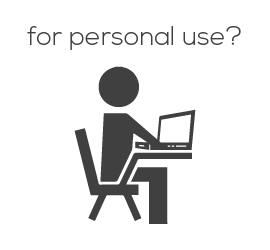 All our computers are refurbished to Microsoft standards (we are a certified Microsoft refurbisher) so you can rest assured your business IT needs are sorted - without a huge capital outlay. 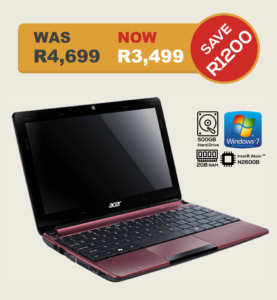 Our current best deals are the HP Pro 3130 MT and Acer Aspire One D255E. 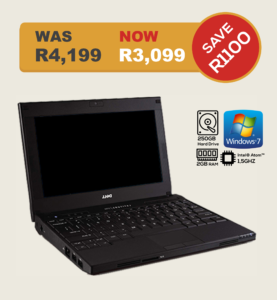 Take a look at all our Desktops, Laptops and our Sale. 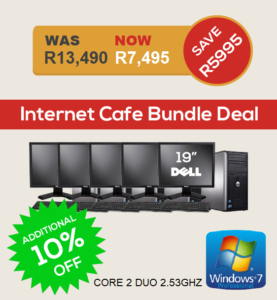 Are you starting an Internet Cafe or need more machines for your Internet Cafe? Well you've come to the right place. Many of our regular customers are internet cafe business owners that are either starting their internet cafes or are expanding them. Read our "5 Tips to starting your internet cafe" article. All our computers are dependable and reliable and perfect for your internet cafe. 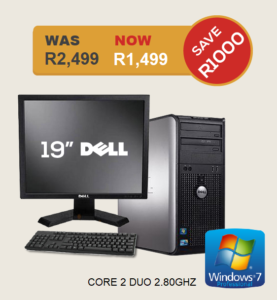 Our best deals for desktops have been the Dell Optiplex 360 and the Dell Optiplex 755 Internet Cafe Bundle. Interested in our Desktops, Laptops or Sale?